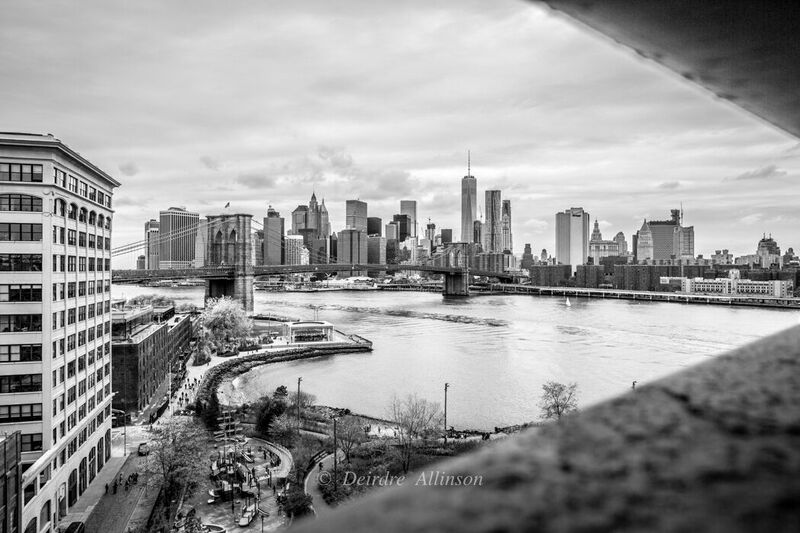 Through the Bridge: A view of Manhattan and Brooklyn through the Manhattan Bridge. 2015. 24 x 36. (Matted and framed). Edition: 50 silver gelatin photos printed on Ilford Galerie fiber based digital silver paper and 50 on a Chromaluxe metal panel. $2,500.